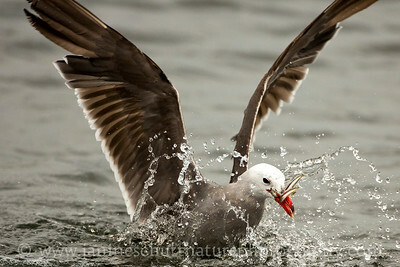 Heermann's Gull in breeding plumage catching forage fish at Fort Flagler State Park near Port Townsend, Washington. Can I have some? 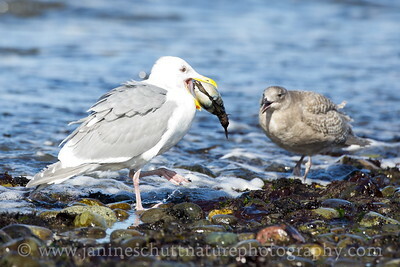 Glaucous-winged Gull holding its prize--a Fat Gaper Clam--near a juvenile glaucous-winged gull. 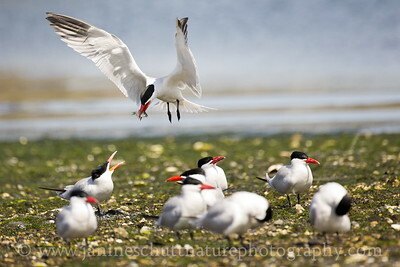 Photo taken at Fort Flagler State Park near Port Townsend, Washington. 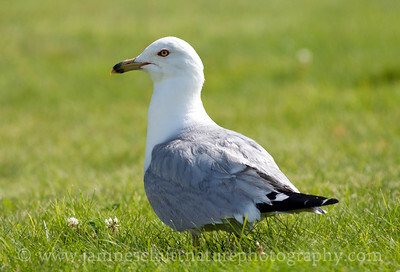 Ring-billed Gull in breeding plumage. Photo taken at Steamboat Rock State Park near Electric City, Washington. 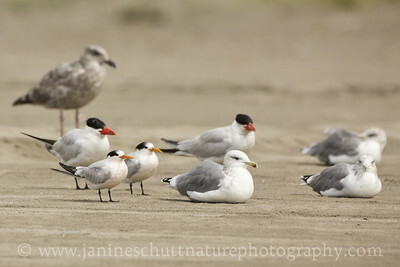 Elegant Terns, Caspian Terns, and California Gulls. Photo taken on the shore of the Long Beach Peninsula near Ocean Park, Washington. 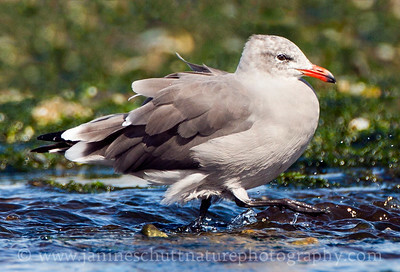 Heermann's Gull in non-breeding plumage. Photo taken at Point No Point County Park in Hansville, Washington. 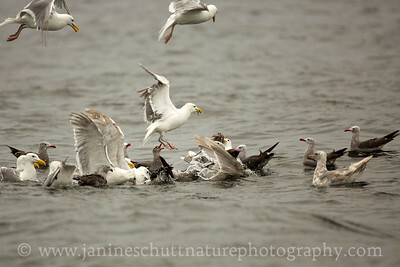 Heermann's Gulls and Glaucous-winged Gulls competing for a forage fish bait ball. 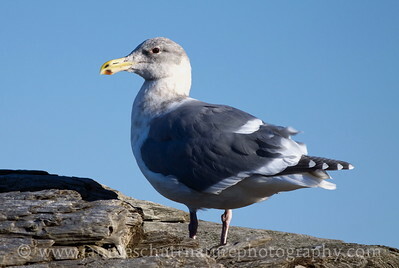 Photo taken at Fort Flagler State Park near Port Townsend, Washington. 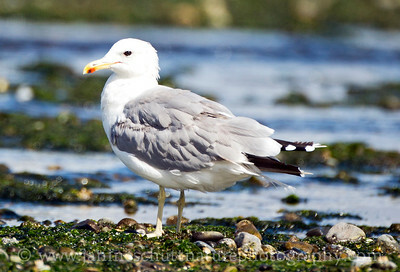 Herring Gull in non-breeding plumage. Photo taken at the Brownsville Marina, near Bremerton, Washington. 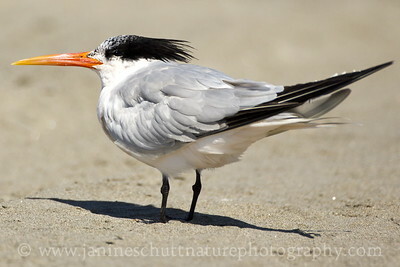 Elegant Tern near Seaview, Washington along the Long Beach Peninsula. 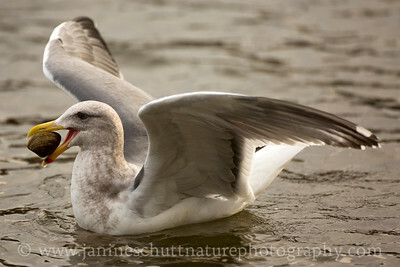 Heermann's Gull in breeding plumage. Photo taken at Norwegian Point Park in Hansville, Washington. 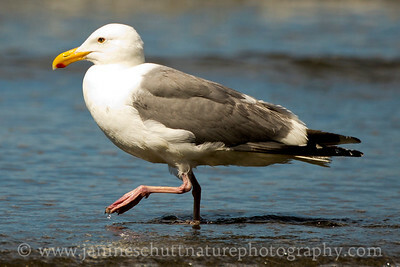 Western Gull in breeding plumage. Photo taken from Second Beach along the Pacific Ocean near La Push, Washington. 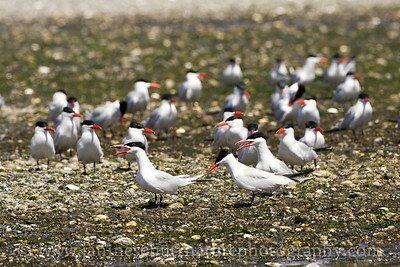 Caspian Terns at Oak Bay County Park near Port Hadlock, Washington. 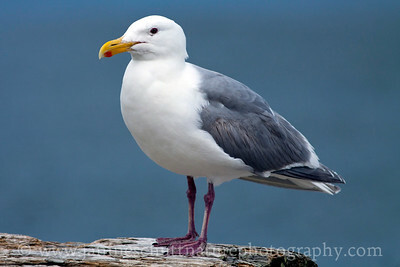 Glaucous-winged Gull in breeding plumage perched on a piece of driftwood. Photo taken at Point No Point County Park in Hansville, Washington. 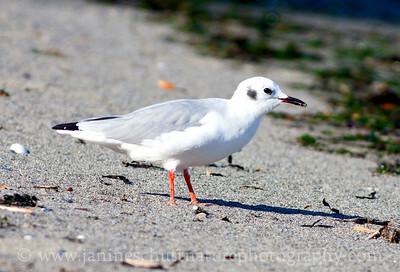 Bonaparte's Gull in non-breeding plumage. Photo taken at Fort Flagler State Park near Port Townsend, Washington. Glaucous-winged Gull in non-breeding plumage on a piece of driftwood on the Dungeness Spit at Dungeness National Wildlife Refuge near Sequim, Washington. 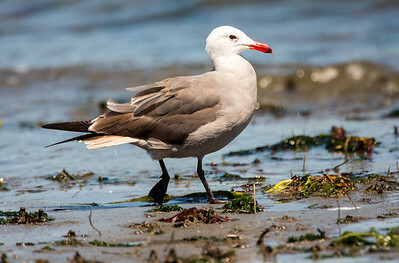 California Gull in breeding plumage at Point No Point County Park in Hansville, Washington. 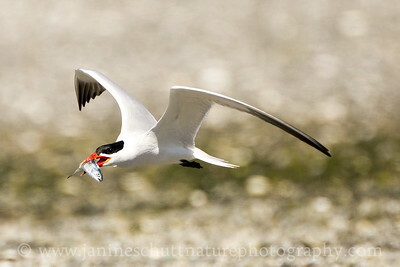 Caspian Tern with a fish at Oak Bay County Park near Port Hadlock, Washington.